CENTERPIECE: Oscar® winner Alfonso Cuarón (Gravity, Children of Men) returns to his homeland in marvelous style with his first Mexican film since his breakout Y tu mamá también (MVFF 2001). Set in 1970, Roma centers on Cleo (a wonderful Yalitza Aparicio), the indigenous housekeeper to a large Mexico City family. With remarkable attention to detail, Cuarón lovingly captures the energy and textures of his youth, from the movie palaces and slums to the affluent rancheros and crowded hospitals. As Cleo faces her own personal crisis, we also see a country beset with natural disasters and civil unrest. But through it all is the bonding she experiences with three generations of women she works for in a story where compassion, loyalty, and love can transcend differences in class and culture. It’s an emotional epic, filmed (by Cuarón himself) in beautiful black and white with hat tips to Renoir and Fellini. Intensely personal and profoundly moving, Roma is a stunner and deservedly won the Golden Lion at this year's Venice Film Festival. 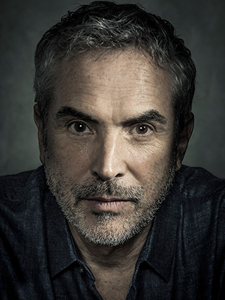 Alfonso Cuarón is a two-time Academy Award® winner who has written and directed a wide range of acclaimed films in Mexico and the US. He most recently won two Academy Awards for directing and editing Gravity (2013). Cuarón made his feature film directorial debut in 1991 with Sólo con tu pareja. His directorial credits also include A Little Princess (1995) Great Expectations (1998); Y tu mamá también (2001), for which he received an Academy Award nomination for Best Original Screenplay; Harry Potter and the Prisoner of Azkaban (2003); and Children of Men (2006), which earned him two Academy Award® nominations for Best Adapted Screenplay and Best Editing.